Last year I had the opportunity to contribute to BASC2001 an interdisciplinary course looking at the world of objects, the stories they hold and how they are researched and represented. Updating the materials for my contribution this year, part of which involves the different ways objects can be represented digitally, I came across a number of online tools that I thought it would be worth writting about, they demonstrate how much easier it’s becoming for those with no great technical expertise to create 3D models, Augmented Reality scenarios and also to collaborate in website design. 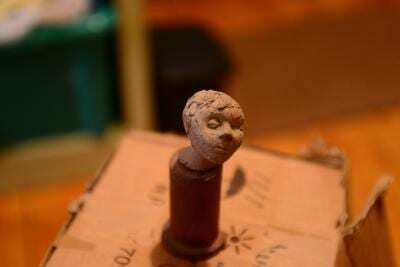 The model above, a small maquette, made by a student at the Slade in the 1950’s was captured by simply taking a series of 25 photos and uploading these to http://apps.123dapp.com/catch/ a free cloud service that converts pictures into 3D models. The service provides an embed code that allows models to be placed in a web page but doesn’t allow annotation, https://sketchfab.com/ does, so the model files were re-uploaded there to provide the model shown above. The creation of models like this is now a fairly simple task and once created newer online tools provide even more opportunities for the ways in which they can be represented; http://www.metaio.com/ has a downloadable Augmented Reality (AR) application (free for basic use) that allows models to be animated and viewed using ‘real world’ triggers like QR codes, images, or even locations. By downloading an AR browser (from http://www.junaio.com/) to an Android or Apple mobile device these augmented realities can be viewed. 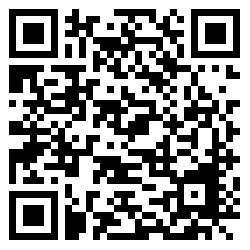 If you’re interested in seeing for yourself, load the junaio browser onto your smartphone or tablet, scan the QR code below and then point it at the picture of the model below. As well as looking at ways of representing objects, students of BASC2001 have, in groups, to create a virtual exhibition of their allocated objects. While researching services that might help students with this task I came across https://cacoo.com – an online tool that allows users to simultaneously edit things like wireframe outlines for web sites – wireframing is a way laying out the essential structure of a website prior to ‘meat being put on the bones’, it’s an important step allowing teams to layout and discuss design decisions prior to committing to the work involved in realising a particular site. One of the great features of the cacoo service is multiple editors can work simultaneously on the same page and view in realtime all the change that are being suggested. Another feature is that collaborators don’t need high level web design skills in order to contribute – an important consideration for students coming from a range of disciplines and having very different levels of digital literacy. 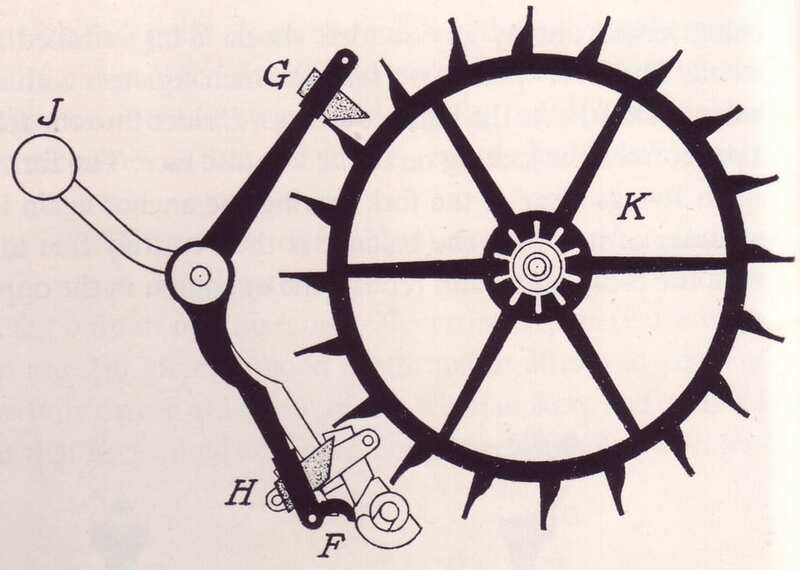 I recently blogged about a concept called chronogogy; a time-led principle of learning design the importance of which I’m trying to fathom. My approach is to keep blogging about it & wait until someone picks me up on it. Worst case, I put some ideas out in the public domain with associated keywords etc. Please forgive me. A blended learning programme makes good use of f2f seminars. Knowing the seminar takes at least an hour to get really interesting, the teacher prefers to use online discussion forums to seed the initial discussions and weed out any quick misgivings. Using a set reading list, before the seminar they have the intention of students to read before the session, be provoked to think about the topics raised and address preliminary points in an online discussion. The f2f seminars are on Tuesdays & student have week to go online and contribute. This schedule is repeated a few times during the twelve week module. The problem is, only a handful of students ever post online and others complain that there’s “not enough time” to do the task each week. The teacher has considered making them fortnightly, but this isn’t really ideal either, as some may slip behind, especially when this exercise is repeated during the module. The argument in my previous post was that if the planning of the activity doesn’t correlate well with activity of website users then it may increase the chance of disengagement. If a reading is set on Tuesday completed by Sunday, the learner may only start considering their discussion points on Sunday or Monday night. This will complete the task before Tuesday’s session, but does it make good use of the task? The reading is set on Tuesday, completed by Friday, the learner even posts to the forum on Saturday. By Sunday the come back to the forum, there’s not much there. They come back on Monday and can contribute towards Learner 1’s points, but it could be too late to really fire up a discussion. The seminar is the next day, Tuesday which could increase the chance of discussion points being saved for that instead, as the online discussion may not be worth adding to. Q: Can these two students ever have a valuable forum discussion? Q: Is this was scaled up would the night before the seminar provide enough time for a useful online discussion? Q: If Learner3 had read the material immediately and posted on the Wednesday what would’ve been the outcome? Any students posting earlier in the seven-day period may be faced with the silence of others still reading. Postings coming in too late may be marred by the signs that fewer visitors will log on during the weekend. Therefore, unless people are active immediately after the seminar (i.e. read and post in the first day or two) then any online discussions takes place on Monday – the day before the seminar. In this example a lot of assumptions are made, obviously, but it could happen. If this example were true, and it helps if you can believe it is for a moment, then what steps could be taken to encourage the discussion to start earlier? One thought could be to move the seminar to later in the week, say Thursday or Friday. By observing learners behaviour ‘out of class’ (offline and online) it could give insight into the planning of sessions and activities. In the classic school sense, students are given a piece of homework and they fit it in whenever suits them. However, if that work is collaborative, i.e. working in a group or contributing towards a shared discussions, then the timing of their activity needs to align with the group, and known timings that are most effective. 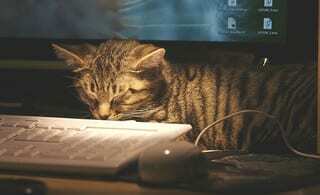 Muffins got tired waiting for fellow students to reply to his post. Knowing study habits, and preferences, for off and on-line study could make a difference here. If the teacher had given the students a different time over the week it might have altered contributions to the task. 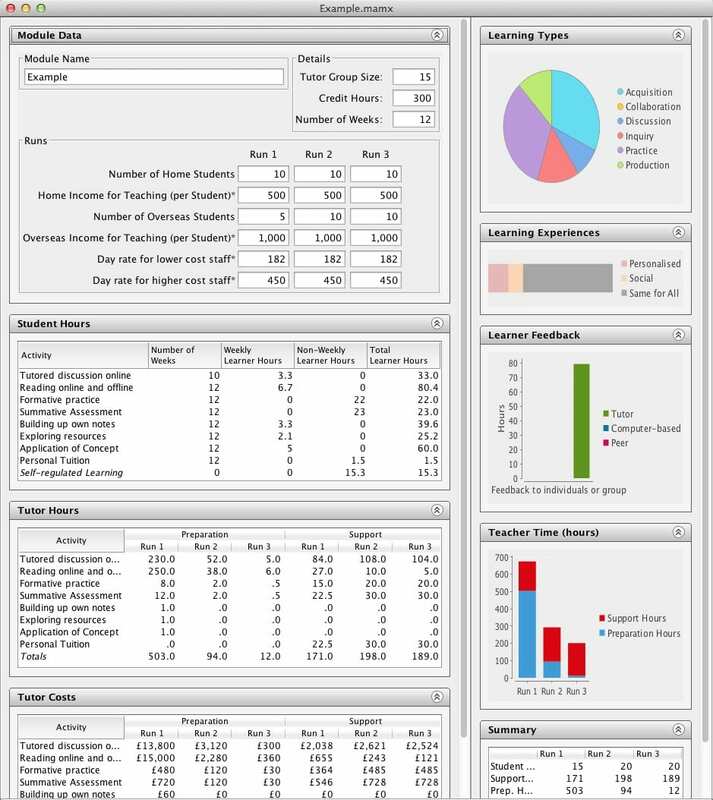 Data in the previous post indicates that learners access educational environments more in the week than the weekend. An activity given on Friday and expected for Monday seems unfair on two levels; a weekend is an important time for a break and weekends are not as busy as weekdays for online activity. If the week shows a pattern of access for online, then an online task could be created around the understanding of access patterns. If online tasks are planned around this, then it may affect the outcome. 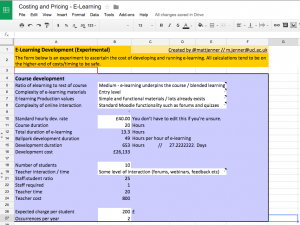 Does time-informed learning design make a difference? There’s only one way to know, really, and that’s to perform an experiment around a hypothesis. The examples above were based on a group/cohort discussion & it made a lot of assumptions but it provides a basis of which I wanted to conduct some further research. Time-based instruction and learning. Is activity design overlooked? In the examples, the teacher is making an assumption that their students will ‘find the time’. This is perfectly acceptable, but students may better perform ‘time-finding’ when they are also wrapped into a strong schedule, or structure for their studies. Traditionally this is bound to the restrictions of the timetabling/room access, teacher’s duties and the learners’ schedules (plus any other factors). But with online learning (or blended) the timetabling or time-planning duty is displaced into a new environment. This online space is marketed as open, personalised, in-your-own-time – all of which is very positive. However, it’s also coming with the negative aspect of self-organisation and could, possible, be a little too loosely defined. Perhaps especially so when it’s no longer personal, but group or cohort based. There’s no intention here of mandating when learners should be online – that’s certainly not the point. In the first instance it’s about being aware of when they might be online, and better planning around that. In this first instance, the intention is to see if this is even ‘a thing to factor in’. Chronology is the study of time. Time online is a stranger concept than time in f2f. For face to face the timing of a session is roughly an hour, or two. Online it could be the same, but not in one chunk. 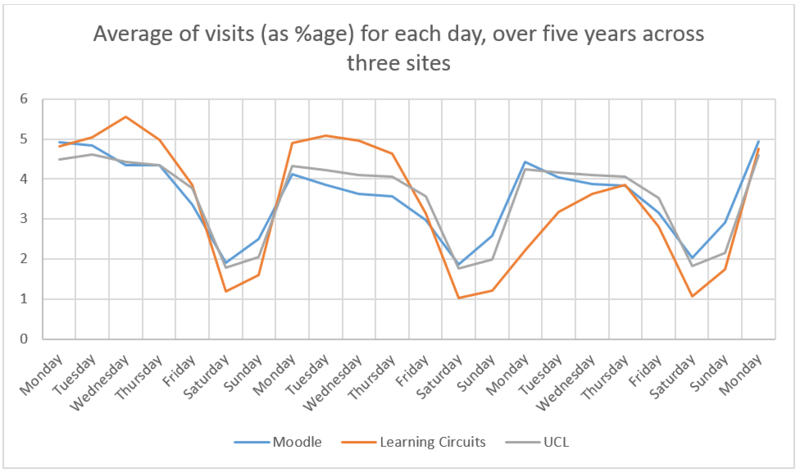 Fragmentation, openness and flexibility are all key components – learners can come and go whenever they like, and our logs showing how many UK connections are made to UCL Moodle at 3-5AM show this quite clearly. Chronogogy is just a little branding for the foundation of the idea that instructional design, i.e. 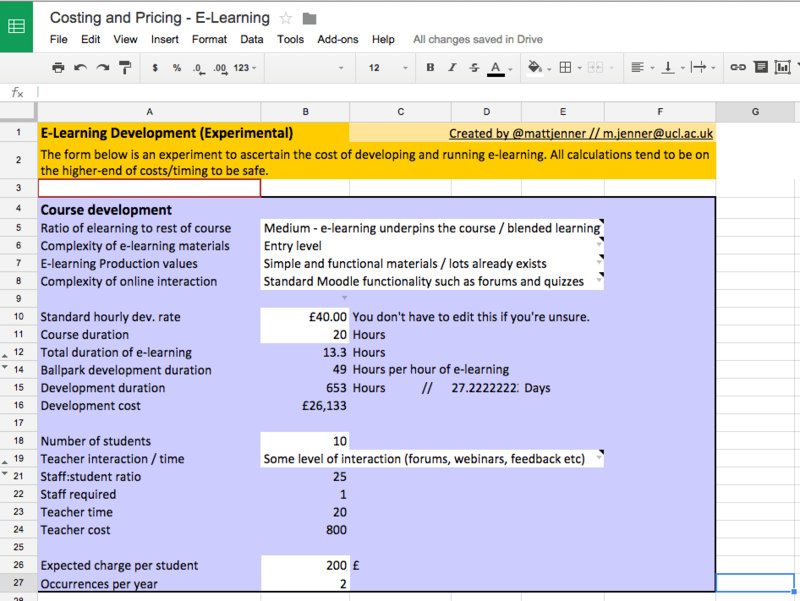 the planning and building of activities for online learning, may need to factor time into the design process. This isn’t to say ‘time is important’ but that by understanding more about access patterns for users, especially (but not necessarily only) online educational environments, could influence the timing and design of timing for online activities. This impact could directly impact the student and teacher experiences. This naturally could come back into f2f sessions too, where the chronogogy has been considered to ensure that the blended components are properly supporting the rest of the course. 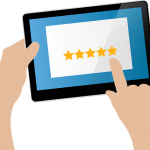 Time-led instructional design, or chronogogically informed learning design could potentially become ever more important if considering fully online courses that rely heavily on user to user-interaction as a foundation to the student experience. For example the Open University who rely heavily on discussion forums or MOOCs where learner to learner interaction is the only viable form. 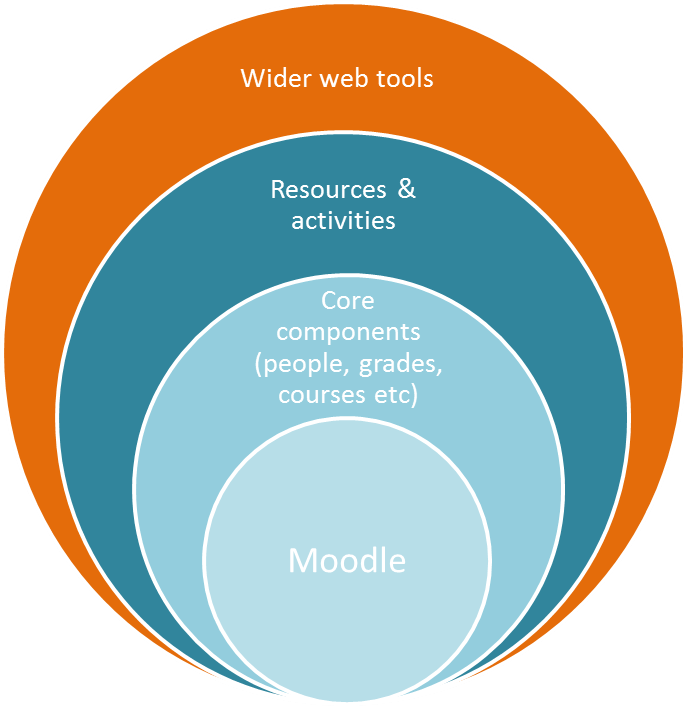 In another example, MOOCs (in 2013) seem to attract a range of learners. Some are fully engaged, participate in all the activities, review all the resources and earn completion certificates. Others do less than this, lurking in the shadows as some may say, but remain to have a perfectly satisfactory experience. Research is being performed into these engagement patterns and much talk of increasing retention has sparked within educational and political circles, for MOOCs and Distance Learning engagement/attrition. One factor to consider here is how you encourage activity in a large and disparate group. The fourth point above, engagement prompts, is a way of enticing learners back to the online environment. Something needs to bring them back and this may be something simple like an email from the course lead. Data may suggest that sending this on a Saturday could have a very different result than on a Tuesday. 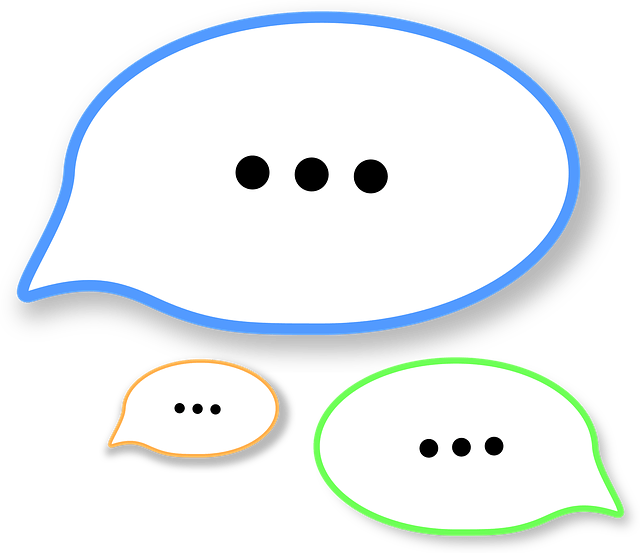 Engagement prompts as the carrot, or stick? Among many areas till to explore is that if learners were less active over the weekends, for example, then would promoting them to action – i.e. via an engagement prompt, provide a positive or negative return? This could be addressed via an experiment. If there’s peaks and troughs in access – what would happen if this could be levelled out? How could further research be conducted (live or archive data sets). Have I missed something in the theory of learning design that is based on time-led instruction? I wonder what learners would think of this, canvas for their opinions. 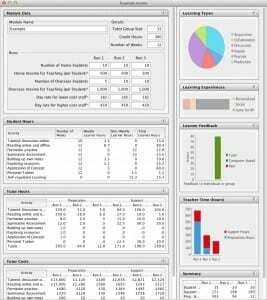 Could I make a small modification to Moodle to record data to show engagement/forum posting to create a more focused data set? If analytic data suggests there is a ‘heartbeat’ of online activity should this inform learning design? Planning for f2f teaching is largely led by institutional limitations and personal habits. Rooms are booked in 1-hour slots and sessions can only be so-many-hours long. As people can’t stand and talk for hours plus few would sit there and listen for the same period. There’s also only so much time in the day, especially ‘core working hours’. Time for education gets murkier when considering flexible learning, say clinicians who must be in practice between certain times or evening-study students. In all walks of education, from homework to dissertations, teachers set activities to be completed in student’s own time. Time planning for f2f education is often based on teaching time, set in rooms, schedules, people, slots. Time for learning has to fit into this schedule and is otherwise completed out of these normal hours. Students are expected to complete a substantial amount of personal learning hours – often tied to readings or assessment activities. Programmes at higher education institutions are increasingly moving into online environments, many of which are still taught in traditional ways. There remains a large focus on face to face teaching and learning activities such as lecture, seminar, lab & essay led teaching. An increasing number are using online learning environments to provide some supportive or supplementary educational value. Some are ‘blended learning’ where elements of the course must be completed online by the learners. Contact time is altered where some is face to face and an amount is also online. A smaller number are fully online, where the online environment is driving the course, delivering a structured programme of study via resources and activities. Building for these environments is often a process which involves a significant amount of investment for the teachers and learners. Often going alone, designing what works best for their teaching style, their students and making best use of their knowledge of the available tools . Sometimes they may ask for support or advice on best practices, examples, tips and tricks and other approaches improve their original ideas. Some invest additional resource to make larger changes. Courses will always be refreshed over the years, often this comes with a partnership of moving more content online and reworking the existing online content to improve it. Need to adapt to different approaches of teaching. One part of their course may be very traditional, others may be more online. Method of delivery may influence enrolment decisions. Work/life/study balance & looking for flexibility built into courses. Increasingly using online environments in their daily life. There’s a digital divide between some individuals, some generations and their digital literacies. Technology in education has looked at converting the ‘sage on the stage’ to the ‘guide on the side’ for some time. If a good educational experience is about providing agency for individuals to become the best learners they can be, then we need to also reflect that in the design for learning. The design of online teaching and e-learning is often reserved for academic developers, educational technologists and teachers. Designs often cover what will be taught, intended learning outcomes, design of activities, overall structure & any resources required. Design is often overlooked, and many go directly past the planning phase in favour of the building/development phase. This is perfectly acceptable, especially if on a path over a number of years, increasingly using the affordances of e-learning tools to complement their teaching and learning. Often skipped, or under-resourced are the steps within the planning phase for a blended or fully online course. This may have more substantial repercussions as skipping design can lead to greater issues later on, which may need to be revisited. 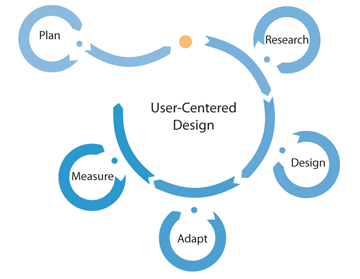 Luckily, cyclic design methodologies (whether intentional, or not) are no bad thing. It’s a little chicken & egg and the lack of planning is often due to lack of time across the sector/universe. 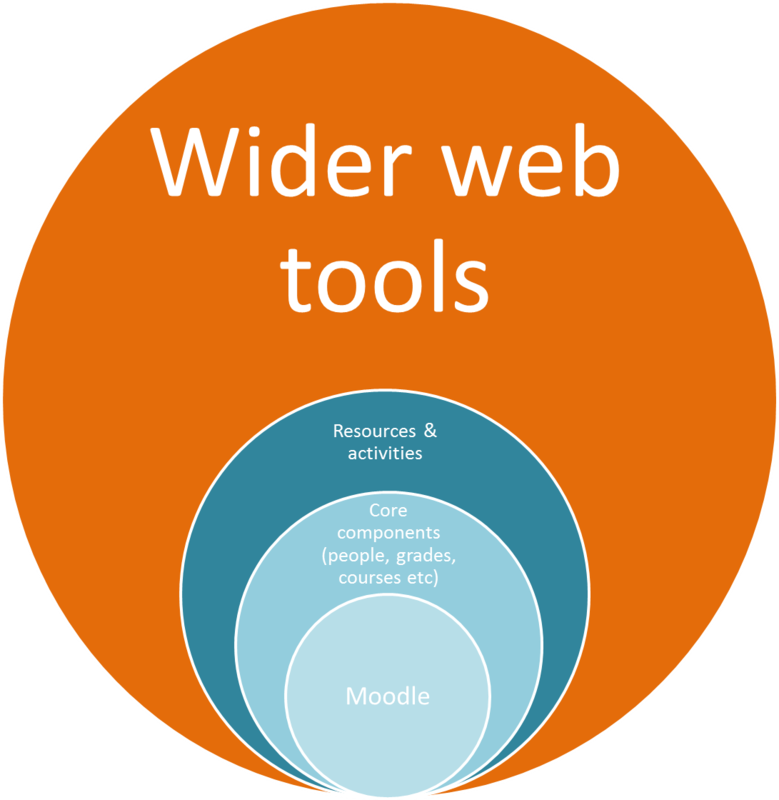 The structure will, particularly with a fully online course, define what needs doing, and when. This is the guide for the students, the stick, the planner, the measure of success and the motivator to stay on track. When thinking of how much time students will spend on tasks, and when they do the task may have been overlooked. A course overview/week-by-week structure is often where the planning of the chronology of the course starts, stops and the rhythm within. Learning design to incorporate time as a critical factor? Not factoring in when a learner will engage in an online environment could increasingly become a bigger issue. In an attempt to identify the importance of this issue, this blog post was written. I felt that this might have significance, and anything of that nature would require promotion within the relevant fields for others to rip it apar, to build retaliating endurance into the concept. After looking for time-influenced learning design in conference proceedings, journals and blogs I found nothing on the subject of time-based instructional/learning design or impact. I had to put a term down to then build upon. Sorry if you don’t like it. Learning analytics is an emerging field within education where data is used to inform the success, design and evaluation of online learning. In a simplistic model used here, we have taken Google analytics visitor data for one month to attempt and identify if we can see any trends with correlation to learning design. It’s a crude example, but the whole post is based on answering my ‘is this a thing?’ question (it’s bothered me for around six months). Website 3 – UCL.ac.uk – the main UCL website, hosting information about the university. These data show a regular path of activity for the number of visits to websites across the February time period. The websites are all of an educational nature, but differ in their intended target audiences. Y-axis shows the percentage of the monthly number of visits for that day. X-axis shows the day of the month. The chart clearly shows a rhythm in visits, going up and down in a pattern. 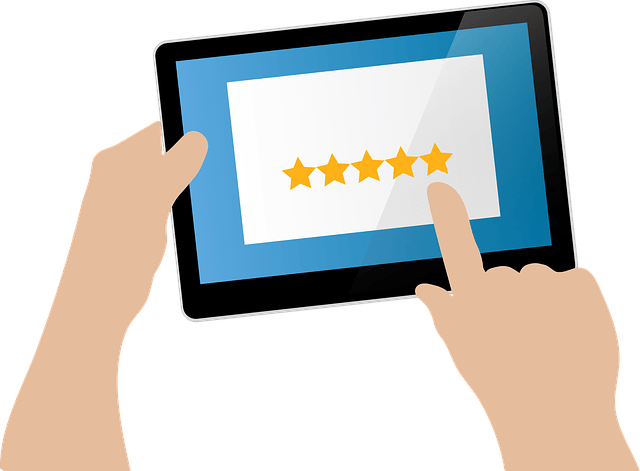 There is a distinct shape in visits. Saturday is the lowest point every week. Sunday is rarely much higher. There is a slight drop on Wednesdays. This month shows a heartbeat shape to the number of visits. Saturday is the lowest point of the week. Overview of the number of users for UCL Moodle and activity over the year. Note: the M-shape persists across these charts. This chart shows the percentage of the visits per day of the week, for three websites, over a five year period. The purpose of this chart is to see if the data shown in the first chart, for February 2013, would be repeated over a longer period. The chart is done by day, and not date & the chart runs over fewer days as the first Monday of February would fall on different days, thus shortening the timeframe to evaluate. The chart shows Saturday having the lowest number of visits over the week, with Sunday resulting in a similar number. The M-shape is less common with Wednesday gaining more visits over a longer time period. The heartbeat over the week, with peaks around Monday/Tuesday and Thursday/Friday remain to show the highest number of visits, especially when compared to weekends. Look across a whole year, in this example 2012, we can see if the data is true across all months and not just February. 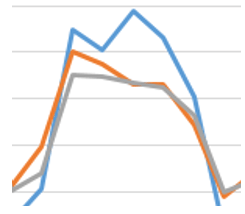 These two charts show the average (as red) of the percentage of visits over the week. There is no longer an M-shape but do continue to show Saturday and Sunday as the lowest number of visits during the week. 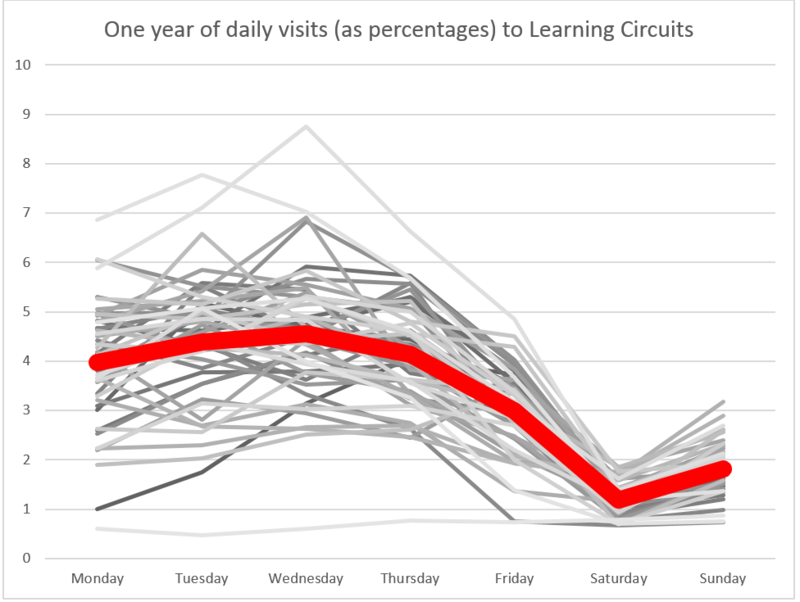 Wednesday becomes an increasingly common day over the year for number of visits and for Learning Circuits becomes the most popular day. (This might not have been helped by using Mean numbers and a handful of disproportional and high plots in around week 40 in the year.) 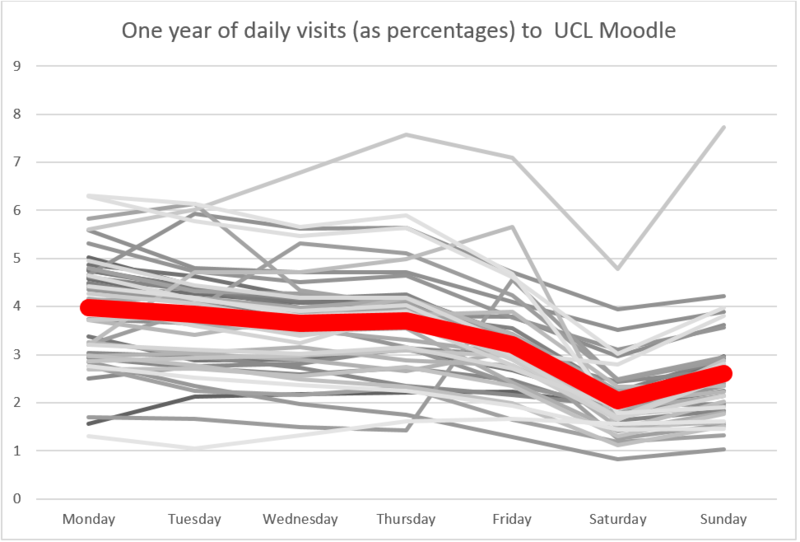 UCL Moodle has a similar pattern, with one result much higher above than all others – this is the first week of term in September where the average for the month is very low initially, so on comparison that week is substantially higher. No chart exists for UCL.ac.uk – sorry. 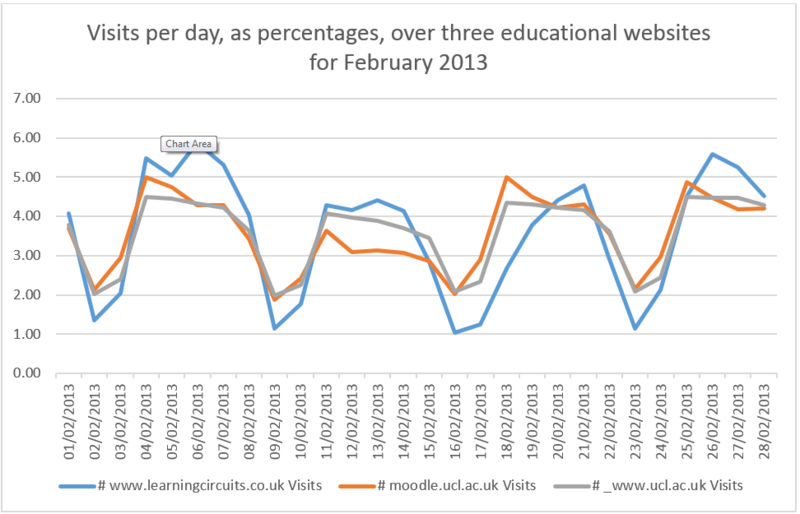 Each of these two charts show the number of visits across two of the sites over a one year period (2012). The intention here is to primarily show that the ‘heartbeat’ of online activity is regular across the year. There are low and high points, but when matched up to the charts above, showing each week’s average, they show that the data analysis, in particular Saturday and Sunday being quiet days, remains true across the year for both domains. I wonder how long you’ve been thinking ‘he’s not measuring this data very well’. Firstly, I accept all contributions to this. Secondly, this is a desk-based observation, not a research proposal. Any next step would be to review a longitudinal study with an online course, proper data analysis and a real methodology. This is just an idea-incubated post I’m afraid. Much like the National Grid boost up the power networks when an advertisement break is coming in the nation’s favourite soap operas, could the same be said for a course designer planning their online learning? Perhaps not providing a boost, but instead being aware, and planning for, peaks of online activity? IF, for example, I were planning an asynchronous activity for my learners would I want to set it for Friday and hope it’s completed by Monday? When would be the best time to plan this? Most at the moment just set up a week-based activity and hope learners can manage their time effectively around this. However, if the data above can be read into, then more people will be online during the week rather than the weekend. Therefore, it would be best planned over the week, but does this depend on the type of task? What about synchronous activities? Has time-led instructional design (I like the terms chronogogy of learning design, chronogogical instructional design or chronogogically informed teaching and learning) been undervalued/overlooked in past learning design models for online education? Does this have a wider impact for online education, including distance learning and MOOCs? Expand upon this. 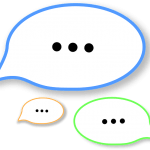 We have a ‘Moodle archive’ – find a course with an activity like discussion forums and try to match up stored data with analytics information. Does anything correlate? Fester in a basement for six years completing a part-time research project and slowly lose my mind over a somewhat trivial matter. If analytic data suggests there is a ‘heartbeat’ of online activity should this inform learning design? I’d like to hear your feedback, as I think should. I’m going to keep looking into it, I just wanted to share some early thoughts with the internet and its people. edit: sorry, a grammatically-correct friend provided me some advice on lead vs led. People are reading at least!